Adding Funds to your PropellerAds acсount is easy and secure. There are several ways to do it: Bank Card, Wire Transfer, PayPal, UnionPay, Skrill. Choose the most convenient for you. Please note, we accept debit and credit cards (Visa / MasterCard). The minimum deposit for credit cards is US $100.00. 1. Login to your Advertiser account. 2. Click "Add Funds" in the menu on the left. 3. Select the “Bank Card” payment option. 5. Don’t forget to accept the terms and conditions by checking "I agree with terms and conditions". 6. 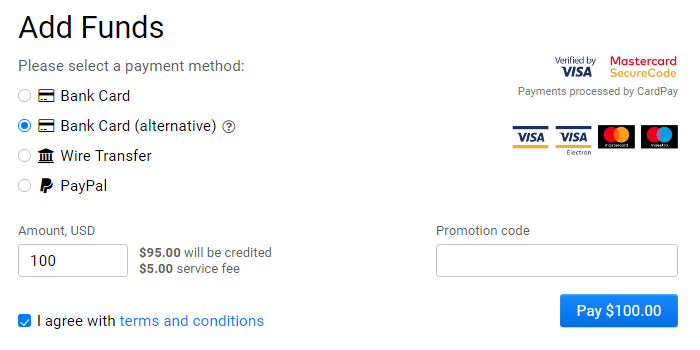 Confirm your payment by clicking "Pay $100.00". 7. Enter your credit card information: the credit card number, expiration date, and the СVV security code. Enter your name as it appears on your credit card! The CVV Number is the 3 digit number on VISA®, MasterCard® and Discover® credit and debit cards. On your American Express® credit or debit card it is a 4 digit numeric code. 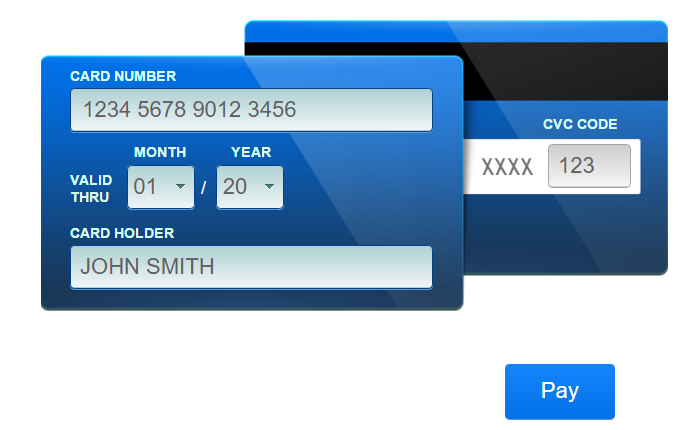 CVV numbers are NOT your card's secret PIN. 8. Confirm the information and process the payment by clicking "Pay" button. Please note: using bank cards for funding your account may involve additional service fees. 9. Congratulations! As soon as your account is funded, you can start your promotion! If your credit card is declined, verify that you’ve entered each piece of information accurately: your name, billing address, credit card details, available balance, and try again. If your transaction has been declined by our main billing service, try our alternative bank card processing or other payment method. If you experience any issues with your payments, please contact your manager or our support team from within your account.